I am officially declaring it now – the summer movie season is upon us. 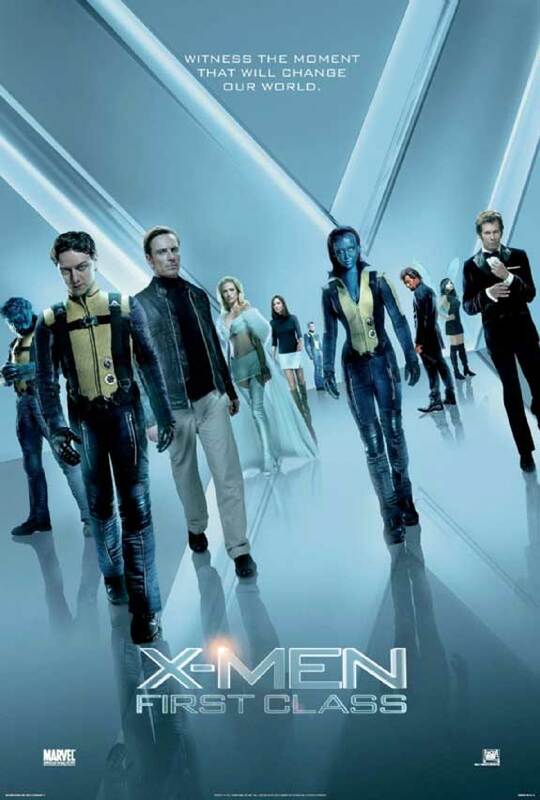 Yes, some may say it kicked off during May with such big-name flicks as Thor or the ever floptacular Pirates of the Caribbean: On Stranger Tides, but honestly, X-men: First Class truly starts off what one hopes will be a continuing trend of renewal and redemption for several major series. 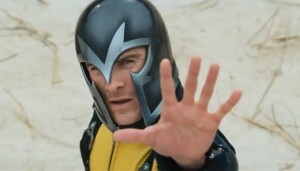 I was a fan of the original X-men trilogy, although X3 seemed to wilt a little without the Singer touch. But Singer returns with a writing credit and a little production input, to bring us a revitalization to the X-men franchise. Singer gave appropriate nods to his original X-men series (including two cameos, one of which is worth the ticket purchase alone – no spoilers though) to keep them valid and intertwined with the new film, but left room to explore brand new territory. By setting the film against the Cuban missile crisis, it gives the film a unique real-world connection while adding that science fiction, super-powered flair we all love in a good superhero movie. In addition to the real-world environment, we get a much deeper understanding of who these characters are beyond their powers. 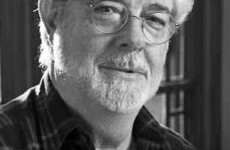 We see what drives them, what their flaws are, why they made the choices of which we saw the results in the previous three films. It is a well-rounded story with a lot of heart and a heck of a lot of action. 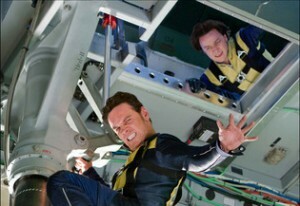 Little known X-men History: Charles and Erik loved playing hide and seek. Given that Charles was a mind-reader, Erik always lost. (For those familiar with the series, you may skip this paragraph.) For those who may not be familiar with the concept, First Class focuses on the initial formation of the X-men, a group of people with genetic mutations which manifest themselves in the form of super-human abilities. The film is a prequel of sorts to the X-men trilogy which was released in the 2000s. It focuses on the two key players in the battle for human/mutant coexistence – Charles Xavier and Erik Lehnsherr, a.k.a. Professor X and Magneto. Charles has the ability to read and control minds, Erik the ability to control magnetism. Focusing on their backgrounds we see glimpses of Erik’s childhood as a prisoner in a Nazi concentration camp, contrasted with Charles’ wealthy upbringing in America. Charles focuses his energies on studying genetics and mutations, Erik is hellbent on revenge. Eventually their paths come together, and under the supervision of the government, they locate and recruit a group of young mutants with diverse powers in order to form a team to defeat Sebastian Shaw, a man who is manipulating the U.S. and Russian governments in an effort to start WWIII for his own diabolical purposes. Now that everyone is caught up to speed on the premise, how does the film stack up? 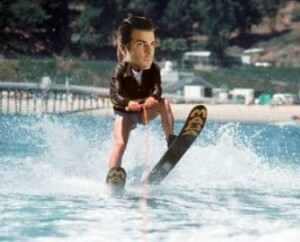 Sylar developed the super-human ability to jump over sharks on water skis after telekinetically lobotimizing the Fonz. In a way, I feel like this is exactly what I needed after enduring Heroes for four uneventful seasons. I will sidestep briefly to explain my disappointment with Heroes. This show started with an interesting premise – regular people who develop super-human abilities. The problem is, barring a few brief episodes in chapter 1 and a sort of side plot in season 3, these people spent most of their time avoiding using their powers. While everyone at home is on the edge of their seats waiting to catch a few minutes worth of super-powered effects buried amongst tangled and unnecessarily elaborate plot arcs in each 45-minute episode, you could practically hear the producers saying “Oh no, effects like that will be too expensive to produce. Avoid them at all cost!” They also got tangled up in attempting to rework their concept to address what they viewed as “fan feedback”, and ultimately ended up ruining all the things which gave the show substance. Heroes effectively “jumped the shark” shortly into season 2 and never really recovered. Although we see a somewhat reluctance in some of the mutants to use their abilities, ultimately we see an embracing of their purpose. In addition, we get a chance to see not only practical applications of their abilities, but also what happens when these powers are unleashed. There are several awe-inspiring scenes with Erik as a child, one of which is an almost shot-for-shot recreation of the concentration camp scene from the original film. This film did for X-men what Star Wars: The Force Unleashed did for the Force of the Star Wars universe – showed what real people would do if they had these abilities in these situations, and they definitely wouldn’t hold back. "Hi, I'm Magneto. I'm a fictional character. Move on with your life and enjoy the movie." The biggest critiques coming toward this film have to do with the consistency of the storyline with that of the comic history. There are a few necessary deviations in age of characters or background stories in order to make a more concise story arc. The fan boys will be up in arms that every minute detail isn’t as it was in the original material. But the fact of the matter is this, just as with any lengthy series derived from a written text – Harry Potter (7 books), The Chronicles of Narnia (7 books), Lord of the Rings (technically 6 books) – some details must be skimmed, omitted, or adjusted in order to fit them into a 2-3 hour timeslot. Let’s face it the X-men story spans hundreds of comics over decades of writing, there’s no way you’re going to get every detail into a film. So if you’re going looking for 100% accuracy, prepare to nitpick your way out of enjoying the film. My Six-Degrees of Kevin Bacon: I was an extra in Election with Matthew Broderick --> who was in The Producers with Nathan Lane --> who was in The Birdcage with Robin Williams --> who was in Bicentennial Man with Oliver Platt --> who was in X-men: First Class with Kevin Bacon. Booya. The actors, did an excellent job embodying their respective parts. McAvoy and Fassbender, lend their interpretation on the characters artfully personified by Patrick Stewart and Ian McKellan, and provide a fantastic bridge between the two portrayals. Jennifer Lawrence, recently nominated for an Oscar for her role in Winter’s Bone, gives a notable performance as Mystique, adding some much welcome character development behind the eye-candy that was Rebecca Romaine in the original films. And of course, this film adds a link in everyone’s “6-Degrees of Kevin Bacon”, who gave a delightful performance as the villain. Overall, this film was an absolutely enjoyable experience at the movies, and I sincerely look forward to the inevitable sequel that will most likely ensue. I’ve heard it described as X-men meets one of the old-school James Bond films, and I can agree with that assessment. The key is – this film is a good movie that just happens to be about super heroes, which isn’t always the case with Marvel and DCs cinematic outings. It’s definitely worth the time and money to soak in the scale on the big screen. I was so hopeful for Heroes after Season 1, but enduring Seasons 2 and 3 was a chore. We never finished the show, and with good reason (you’re right–it definitely jumped the shark in Season 2). I do have The Force Unleashed sitting on my shelf somewhere, and perhaps I need to go back and play it again. I don’t think I ever gave it a fair shot the first time around. 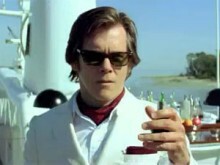 Oh, and mega props for connecting yourself to Kevin Bacon. I watched Election a couple years ago with the goal of locating you in the crowd of high schoolers (you showed me once, and I think you were part of a group entering a classroom) but couldn’t find you. I probably should have had Martin Handford there to help me out, but I think he was too busy counting his vast piles of money. 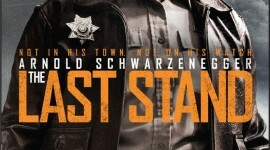 I don’t know how I walked out of this film underwhelmed… but it happened, and to my disappointment. I was excited for this one after all the good buzz. Just saw this last weekend…wow. I was caught off guard and entirely floored in the best way possible. I was expecting a light action romp, but what I got instead was an incredibly rich, deep, and very dark portrayal of the X-Men unlike anything in the other movies. I especially enjoyed the many layers to Xavier and Magneto’s relationship, and Magneto’s journey to what some might equate with the proverbial dark side (the scene with the coin and Kevin Bacon at the end still gives me chills).